In interview on Fox News, PM Netanyahu says it hurts him more when his wife is attacked than when he is. 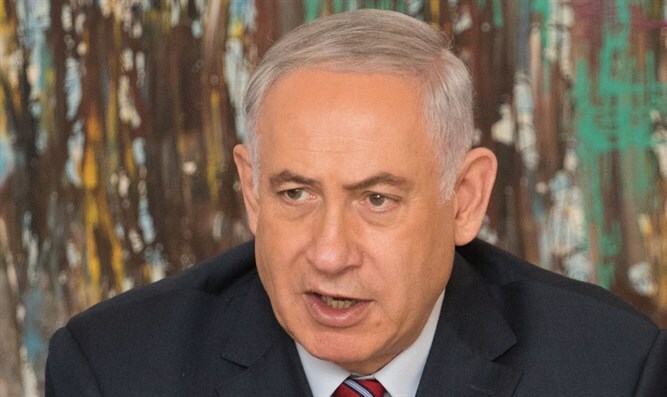 Prime Minister Binyamin Netanyahu said on Sunday night, "People who deliberately murder babies or blow up buses, they don't have freedom on their minds." His remarks came in an interview on Fox News’ OBJECTified, hosted by TMZ's Harvey Levin. The prime minister told Levin that he does not use a computer or a cellular phone in his office due to security-related issues. “If you walk into my office, you won't see a computer, you won't see a television screen, and you certainly won't see one of these cellular phones, because anyone who uses this stuff today is exposed,” he explained. Netanyahu also said he does not want his children to follow in his footsteps, as shown in a previous excerpt of the interview released late last week. Asked by Levin if he encourages his children to enter politics, Netanyahu responded, "No! No! ", adding that he discourages his children, Noa, 39, Yair, 26, and Avner, 22, from going into politics. "It's a very tough life," he explained.